2 Beatit D11 at work! 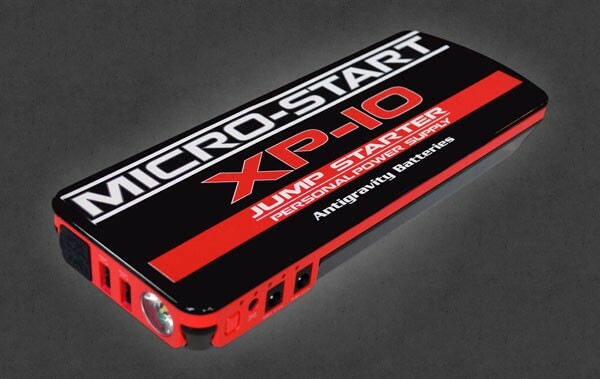 When I started my hunt for the best lithium-ion jump starter I could find, I compared each starter to a spec list to see if it would meet my needs. The Beatit jump starter met and exceeded my specifications on the following points. – Size: I needed something compact that I could carry in my truck without taking up too much space. The Beatit jump starter weighs slightly more than a pound, and it’s small enough to fit in my glovebox with plenty of room left over. 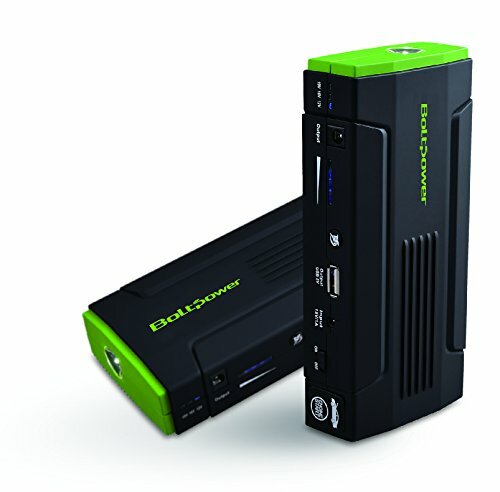 – Power: I needed a mini jump starter that could jump a big 5.4 Liter V8. The Beatit can jump start up to a 7.5L for gas vehicles, and up to 5.5L for diesel. I also wanted something that could jump more than once on one charge just in case, which this does. – Emergencies: I like that it has USB ports to charge devices in the event of an emergency or being stranded in the middle of nowhere. 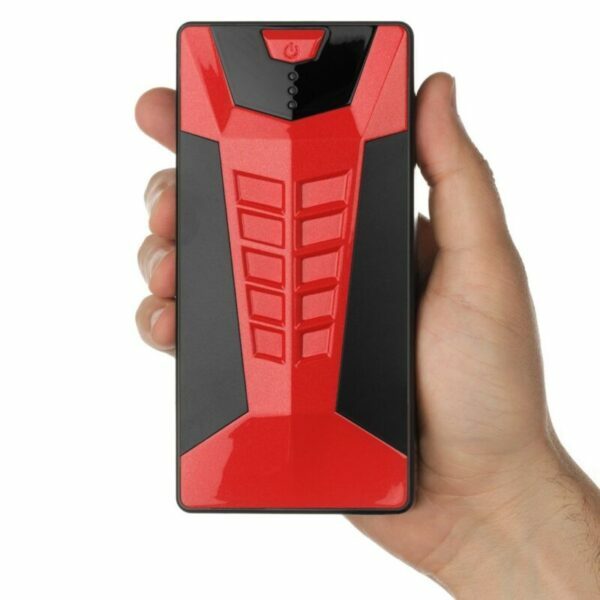 It also has a built-in compass and an LED flashlight that can be set to flash SOS. – Warranty: It comes with a two-year warranty, which is a good amount of time to have a product ensured. – Cost: The cost is really good compared to some other models on the market. 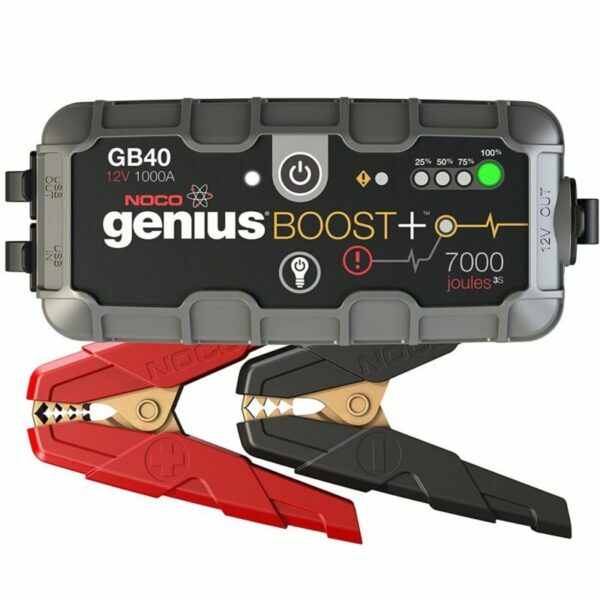 My friend bought a similar starter for $100, and I paid $65 for the Beatit jump starter. When it first arrived, I was impressed with the high-quality case they sent it in. It looks great and keeps everything secure, which is good since most of its life will be spent shifting around my glovebox. 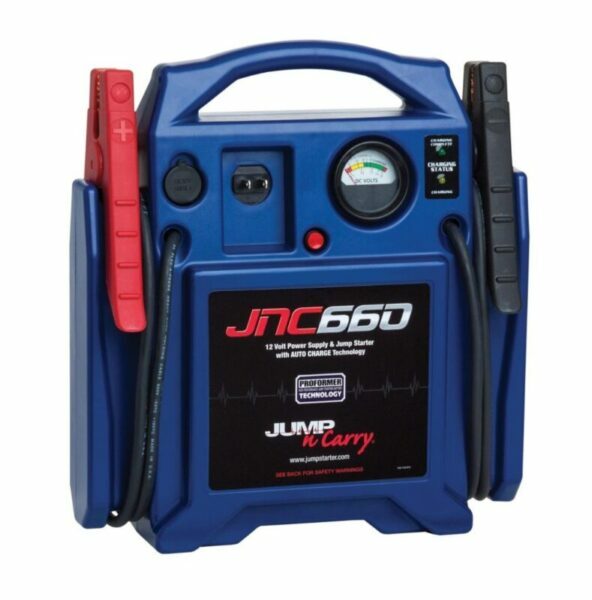 A few weeks after buying this jump starter I ran into a woman needing a jump. It was a very cold night, so that may have made her battery worse, but nothing was lighting up in her car. No dash lights or anything. I hooked up the Beatit jump starter and we were able to crank it right up. When I got home and went to put it on the charger, I was surprised to see it read 100% charge. The website claims that it can jump 30 times on one charge, but I thought one jump would have drained at least a few percentage points. 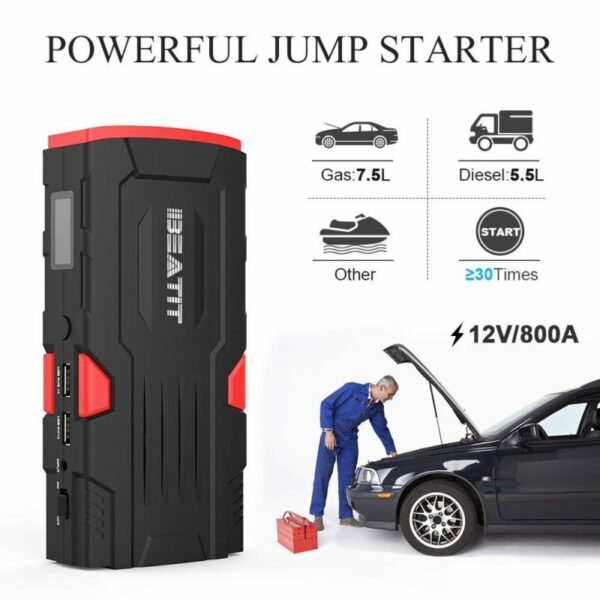 I still can’t decide if this is the best mini jump starter I’ve ever heard seen, or if 30 jumps is an exaggeration, and the percentage display is perhaps optimistic. Since then I’ve used it on my big truck a few times, and it’s always worked like a charm. It’s stored in my glovebox at all times, and I top off the charge about once or twice a month just to keep it healthy. After using it for a while, I do have a few complaints besides the battery percentage display. This unit has plastic clamps, which look like they could crack or break fairly easily. They haven’t broken on my unit yet, but I still wish they were metal. Also, the cables are a little short, and it would be nice to have a few more inches of wiggle room. 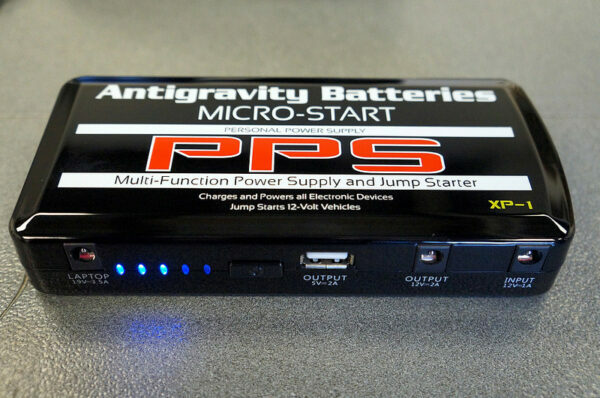 After we did our review of this mini jump starter we wanted to add other customer reviews to complete ours. As we suspected great majority of online reviews state that this device has an outstanding quality and that performed very well. Some of these reviews we have quoted here just to confirm our statement. I have a 5.4 liter V8 and this can jump it with no problem at all. I was skeptical but now a firm believer. Already have 4 other people making the same purchase and I’m going to post a review on my own site. Absolutely impressed by this very small, very powerful jump pack. This worked fine restarting my car. One thing to note is that there’s a small button on the side of the connector for the battery clamps that I had to push to get power flowing, which was not noted anywhere in the instructions and had me scratching my head for a good half hour. Otherwise, good product. 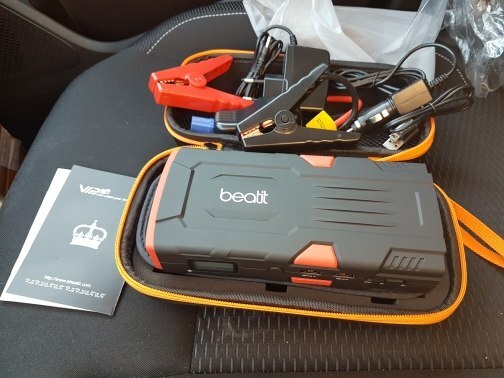 The Beatit jump starter went above and beyond my expectation of what a mini jump starter could do. 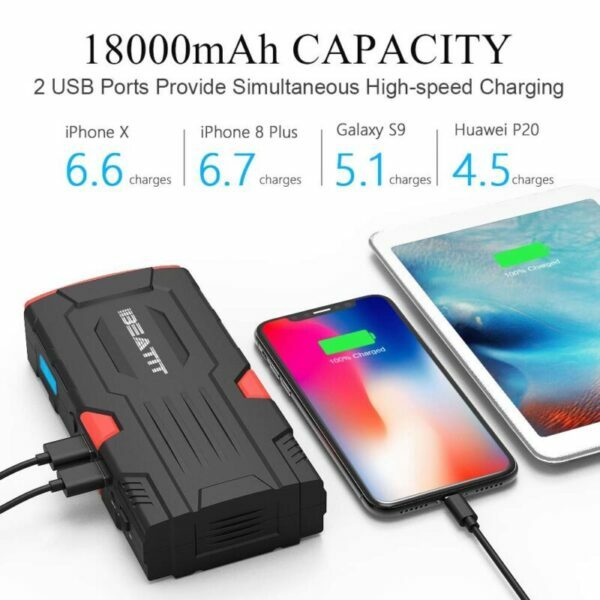 Although it does have a few minor drawbacks, I would recommend it to anyone who needs to jump-start a large truck battery, or for anyone who needs a backup battery jumper to carry in their car. 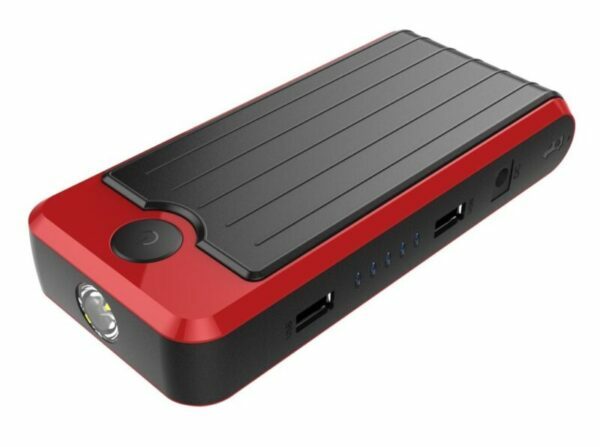 Hopefully my mini jump starter review has helped you to make an informed decision.